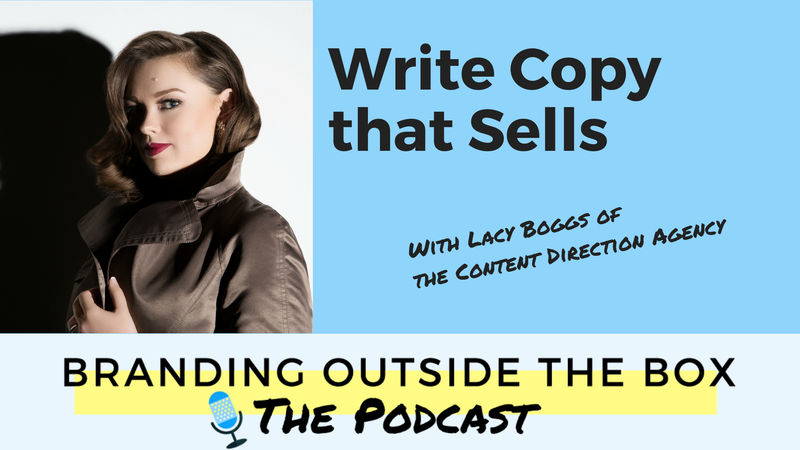 In this episode of Branding Outside the Box, I chat with content strategist Lacy Boggs about writing copy that sells. Writing copy is a learned skill. It’s something that many entrepreneurs struggle with. Even authors, who are talented at creating beautiful prose and vivid scenes, can’t seem to get their back cover copy or sales page quite right. And I know from personal experience. Going from creative writing to copywriting takes a lot of practice and a clear understanding of your audience. And after last week’s episode all about word choice and economy of words, you understand the importance of getting that copy exactly right. 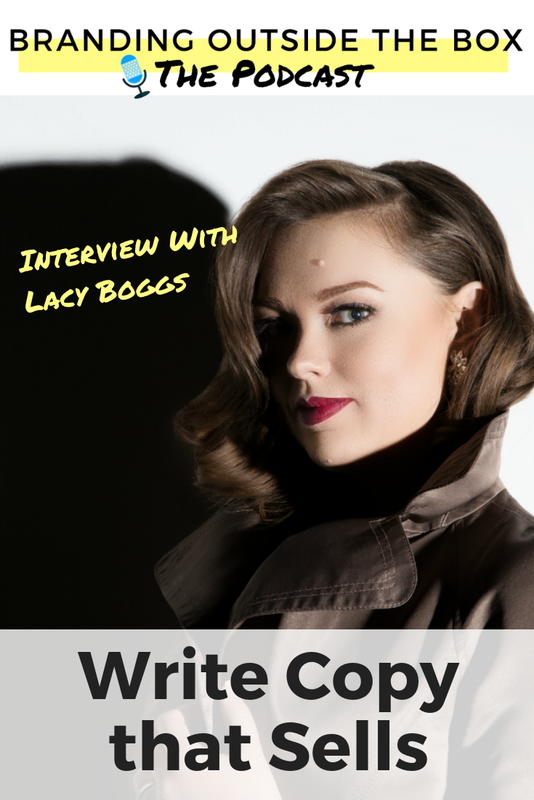 That’s why I’m so excited to chat with today’s guest, Lacy Boggs of the Content Direction Agency. Lacy is a content strategist, author of the bestselling Kindle ebook, “Make a Killing With Content,” and the director of The Content Direction Agency. She helps personality-driven brands create and implement content marketing strategies tailor-made to support their customers and reach their goals. In this episode, she shares her journey from food writer to food blogger to finally opening up her own content strategy shop, as well as tips for authors and entrepreneurs like you to improve your website copy and social media content.